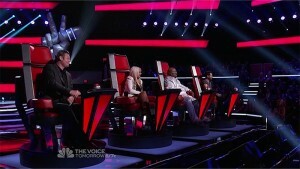 Schnick Schnack Systems LED Accent Lighting literally spins with the hot seats on NBC’s The Voice. Chosen by designer Oscar Dominguez of Darkfire Lighting Design, Schnick Schnack Systems’ quality, camera-friendly, calibrated colours light the triangular podium on the front of each judge’s chair. Naturally, whenever a critical red decision button is pushed, the LEDs behind the Plexiglas podium change colours and the chair spins around. 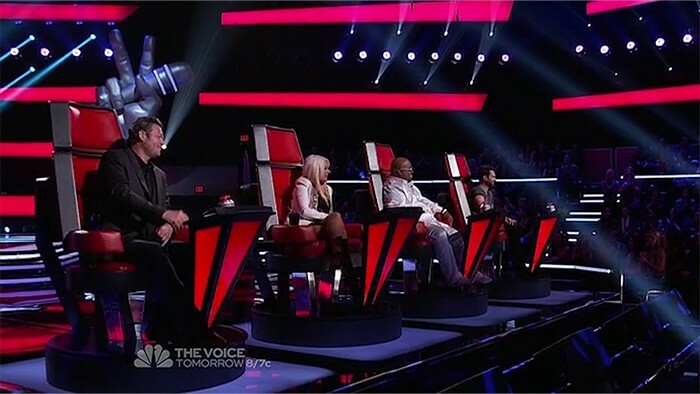 Schnick Schnack Systems strips used on The Voice are ideal for backlighting set elements such as stairs, edging strips and translucent surfaces or for accentuating set edges and profiles. They can be used as a backlight with only three inch clearance from the backlit material, creating a harmonious blending of the individual LEDs within a strip. Without diffusion material in front, they can also be used as a low-resolution LED video matrix for direct flicker-free viewing.